New HP CEO Meg Whitman made a solid move to keep the PC Group, which was in debate since the firing of Leo Apotheker in September. Now the decision was made to keep the PC group, where does HP go from here? More over, what should happen to the mobile division they so aptly threw around like a pair of dirty socks? Even though some websites are heralding the move as a positive one, there are still others that question if Whitman is the best replacement. After all, she basically had the same qualifications as Apotheker – more software than hardware expertise. Whitman – who’s previous background was eBay’s CEO, as well as a run for Governer of California, might still turn against the consumer PC division. They Took Too Long in Taking the PC Division off the “For Sale” List. Of course, HP said they had to “investigate” whether it was a good strategic move (which is why it took so long). One would guess a third-grader could have told them that answer. HP is number 1 worldwide, with Lenovo on their heels, but no indication of change (as the PC marketshare rose 3%). That would be like if Mark Zuckerberg were to sell Facebook right now. It also gives Lenovo a chance to take over the #1 spot with all this controversy. So now it’s time for HP to fix the holes and get back on track. Otherwise, the PC division will be something you want to let go. Where is the Tablet Going? This is another big question mark. 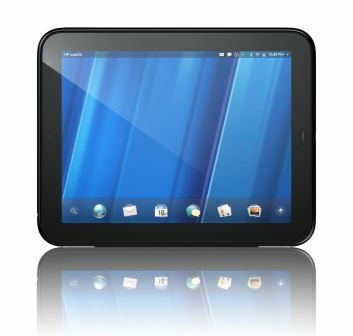 Now, the tablet will get revived, but it won’t be a WebOS device, it will be a Windows 8 machine. In fact, Whitman said that she will make a decision of WebOS in the next couple months. In the meantime, a viable OS sits and a bunch of unhappy mobile owners go unanswered. It would be a nice Christmas present for Microsoft to get. Then again, incorporating WebOS into corporate printing and tablets that are used for Server maintenance are good uses, too. There is no talk on the mobile phone game, either. It could be the death of the Pre – which is a bad thing. There were fanboys out there. I know one person in-particular that spoke nothing but good about her phone. Will there be an underground movement to keep these devices alive? It will take a lot to keep the PC division from falling prematurely (which some experts expect to have happen as we get smaller, faster). The mobile revolution will take it over eventually. So the real question will be who can be on the top of that game? Right now it’s Apple and the iPad, but anything can happen.